For sure, Sydney has gone all Floriade on us all. That is a pleasant thing. On this, where is the best public floral display in Sydney? I am interested to see what answers you all come up with. It might not be much but I always enjoy and appreciate the flowers in Hyde Park. There's something about a colourful natural display right in the centre of the city which just feels special. Plus the gardens and flowers there are always so well looked after. The spring flower show at David Jones on Elizabeth Street is fantastic! 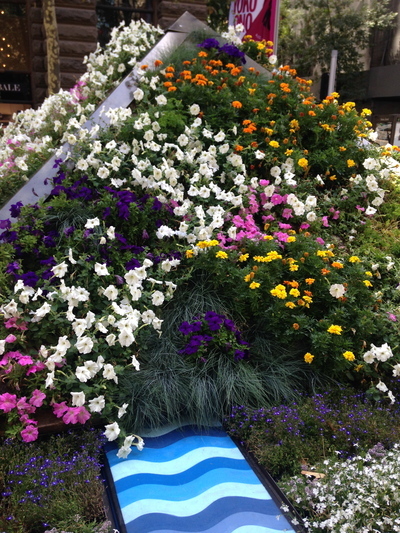 I love the Spring Flower Show at David Jones on Elizabeth and Market Streets in the city every September. At the moment, Martin Place (GPO area) is dazzling with some spectacular floral displays. The Queen Victoria Building (George and Druitt Streets area) is also great in this department.